Join us at Medidata NEXT NYC in New York City October 24-25, for more on RTSM, including our breakout session Real-world Success Utilizing Rave RTSM Expertise in Supporting Clinical Trial Conduct. As clinical studies become more complex, biopharmaceutical companies look at technology solutions to reduce costs, simplify study management, and maintain up-to-date study information. Technology has become more sophisticated in managing how quickly a trial can start, how a trial is conducted, and how quickly patients receive medication so that safety and efficacy data can be collected as soon as possible. The two technology systems that have become crucial for the conduct of a clinical trial fall under the umbrella term Randomization and Trial supply management (RTSM). A RTSM system efficiently and accurately controls patient randomization, automates supply and resupply to depots and sites, and most importantly, handles drug dispensation. The system can be set up quickly and altered instantaneously when necessary. This can reduce trials by weeks, which saves money and delivers therapies to market sooner. The automation of supply and logistics management has made it possible for trials to include a higher number of patients and sites and to cover greater geographic regions. In Phase II and Phase III studies with multiple sites, patient recruitment can be difficult to control manually. Sites will often over-recruit patients, which increases trial conduct costs, or they won’t recruit sufficient subjects with the specific disease/physiological characteristics, leading to insufficient data for statistical analysis. RTSM systems cap patient recruitment at defined quantities and/or patient characteristics. RTSM also serves as a monitoring tool for the study team to view up-to-date, accurate recruitment progress. Randomization in clinical trials prevents bias when selecting patients for investigational drug and placebo. Patients are allocated to treatment arms by permuted or dynamic randomisation methodologies and algorithms. This improves the blinding process and limits predictability by allocating subjects to treatment groups in an unbiased manner and better aids statistical analysis. In RTSM, investigational drug kits are uniquely numbered and a kit can be assigned to any patient within the same treatment group. Rather than one kit containing the entire medication supply for the duration of the study for an individual patient, the supply optimization approach allows medication packaging of medication in a kit to be sufficient to treat a subject for a complete dispensing interval—the duration between the first visit and the second visit. Unused kits can be assigned to other subjects in the same treatment group, thus reducing wastage when a subject early withdraws from the study. The RTSM system tracks inventory at the site and confirms if a treatment has fallen to a predefined minimum level (buffer trigger level), or upcoming subject visit (predictive trigger) and sends an electronic request to the depot for consignment of additional supply to site. The medication resupply is only generated when it is required by an active site. In the absence of the RTSM system the study supply manager has to manually calculate the supply, resupply and shipment requests needed for a site. It is a time consuming and costly process that often resulted in the oversupply of some sites. In larger studies the expired, damaged and lost kits are difficult to track and the drug reconciliation process is drawn-out requiring multiple resources. The system is programmed for the investigator and/or study leader and/or global drug safety department user to unblind the subject and to perform calculations to ensure accuracy of dosing. In randomized studies where a code break facility is not employed, emergency code breaking is either handled by the sponsor or by code breaker envelopes. The latter is not always a satisfactory solution because of lack of control in the process. RTSM is a valuable tool for clinical study management. The randomization in clinical trials enables treatment group balance and eliminates selection bias. 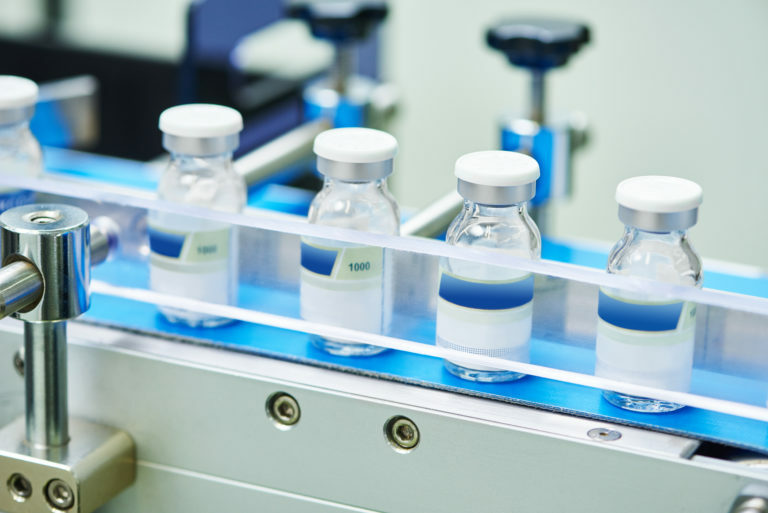 Clinical trial supply management assures that the right investigational drug/supplies are delivered to the right subject at the scheduled time, every time. The ability to unblind a subject through a fast, secure and traceable process is essential to subject safety.